Thanks to Professor Bruce Lerro for his ideas- and questions-filled article, “Facing the music: religion, nationalism and sports have enchanted the working class; socialism hasn’t”, posted in e-journal Countercurrents on November 19, 2018. Professor Bruce Lerro correctly points out propaganda material, media, mode and tact the ruling classes constantly use to confuse the working class for keeping the working class in chains. And, it’s not only the working class, but entire populations in societies are targeted and victimized with these weapons, strategies and tactics of ruling classes. Everyday life bears the evidences. These are present in our perceptions and practices, assessments and evaluations, acceptances and rejections, bargains and deals, relations and movements, cultures and attitudes. These dominate all around, beginning from our home to work places and markets. He has referred to his course Brainwashing Propaganda and Rhetoric: Dark Psychology in the 20th Century, under which he asked his students to determine the color of propaganda – black, gray or white – and the devices, artifacts and processes that are used. The devices and artifacts Professor Bruce Lerro mentions include architecture, statues, symbols, language manipulation, etc. used for altering states of consciousness. These are used to exploit and control people, to distract people from their misery, and to keep people’s trust on exploitative property relations. He correctly mentions the power of nationalism in motivating people. This nationalism, at times, takes appearance of ultra-nationalism, chauvinism, hatred spewing, regionalism, and supremacist and divisive worldviews. These perceptions/views/attitudes are marketed as lucrative commodities capable of controlling people. Professor Bruce Lerro has not overblown the reality as he has described exploiting sports by ruling classes: An escape route from problems that make life unbearable. By immersing us, the public, in “games”, events organized for pocketing money from us, ruling classes keep us away from barricades. He is partly correct when he says, “Who wins the game ultimately has little effect on the lives of the fans.” Game-results, broadly, don’t affect our lives in immediate term. Nevertheless, it, in real sense, affects our lives: First, it takes away money, in broad sense, from our pocket; and the money taken, it’s actually deceived, out from our pockets is not petty in amount as profits made by related organizations and competition among these organizations show. The money deceived away from our pocket is part of the money necessary for our consumption, which is necessary to keep our body and soul together. We gain this money after we sale away our labor to exploiters. Second, a certain amount of time, energy and psychological concentration is taken away from us. All these – time, energy and concentration – carries some weight in terms of money. The time, energy and concentration lost could have been spent for gaining something fruitful, i.e., study our lives and exploiters tactics, exchange ideas and feelings between we the sisters and brothers, or produce something, which could have fetch some more money or develop our creativity, bring joy to us. The time, energy and money spent could be used for organizing our struggle against chains. Professor Bruce Lerro correctly questions: “Yet [….] [d]o the socialists understand it?” At least a part of them don’t understand the tricks ruling classes apply in arenas of games and sports to keep people drowsy, when a part of the socialists carries on imperialist games in the area of politics, an area with burning questions? Has not it been found that professors having credential of “renowned” and claiming to be Marxist find friends among persons pursuing imperialist game, find friends among persons embraced by arch-reactionaries? Specific examples are there. These “Marxist” professors overwhelm table of discussion, ignore perspective of a country, and find all voices of opposition as real voices of opposition. They don’t differentiate a Trojan horse and a fighting soul. Professor Bruce Lerro correctly claims: “At least in the western countries, there has been a steady decline of interest in religion.” Many surveys and studies have found it. It’s part of a process of decline, which is due to advancements in science, changes in ways of life, and, basically, in economy. 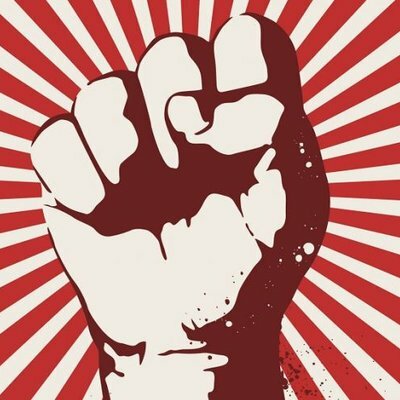 The working class and the political forces working for radical change should neither copy nor follow technique the exploiters use for deceiving people, because morality of the working class is different from the exploiters’ morality. The working class should not only refrain from deceiving; it should not also attempt to practice the way the exploiters follow. Rather, the working class/political forces working for radical change should talk straight, present facts pointblank, analyze scientifically. These are the strengths of the working class/political forces working for radical change. There’s another point of disagreement with Professor Bruce Lerro as he writes, “Economic conditions were bad. Great time for a revolution, right?” Bad economic condition is not the only condition for revolution. If that had been the condition for revolution, then, a vast area in the world, the areas with worst economic condition, would have gone into flames of revolution long ago. But, that has not happened; and that doesn’t happen. There are other conditions required for revolution. Professor Bruce Lerro correctly refers Wilhelm Reich, mass psychologist, as Wilhelm Reich points out socialists’ practice of feed the masses with boring statistics about their condition. It’s a weakness of the political forces working for radical change although boring statistics is not always used everywhere, and sometimes statistics are needed. He correctly refers to the Nazis, who, as he writes, “understood that there is a charismatic side to people, a side that likes mythology, drama, pomp and circumstance, doomsday scenarios, scapegoats, black and white answers and promises of redemption. Goebbels and the Nazi brass understood mass psychology while the socialists were buried in the Enlightenment and the French Revolution.” It’s not a tale from the Nazi history. Today, in many other lands including India and Bangladesh, the same game is being played by parts of ruling classes. However, his one finding – political parties trying to create heaven on earth with workers could not ever get masses of people to come to meetings once a week – is noteworthy. It’s a picture from not only a single or a few countries, but from many countries. Nevertheless, this scene changes with changes in related areas. Greece is an example. A few years ago, a huge people got enchanted with the Olympic Games organized in Greece. A huge people were busy with construction boom, which was overwhelming parts of economy there. None “had” time to look into corruption, wastes, mismanagement the ruling elites were merrily carrying on in the economy. Then, crisis/crises engulfed the Greek life, and the Greek streets, meetings and an election witnessed thousands of people challenged masters of the world of finance. The following story, also, tells the reality: lack of appropriate politics, leadership, organization, cementing of ruling class fractures, appeasements, and failures to foil appeasements, etc. The stream of years full with the incidents, developments, possibilities and failures saw low, high, and again low tides in people’s participation. Therefore, it’s not always correct to claim that masses of people don’t join meetings. They join, and they don’t join. This needs analysis and theorization. However, pattern of participation will not be the same in all lands. Professor Bruce Lerro correctly writes: “The Church must be doing many things […] to collect their revenues and get people to attend […]”. It’s not only the Church; many imperialist and reactionary ideas/ideologies/politics/organizations are carrying out many activities to mobilize people/to collect money from people. Size of resources/properties of these ideologies, etc. tells the reality: The amount of money taken from people, most of whom are the working people having nothing but their labor to sell to survive. His observation should not be neglected when he says the socialists don’t understand this mass psychology. For political analysis of the current events in people’s lives, for explaining capitalism’s failure, political education is the requirement. Political education is needed not only for the working class, but for all the people that include, broadly, middle class also. He correctly raises the question: Have socialists asked themselves what would have to happen to make working class people be carried away by socialism the way they are by sports? Has not this – people standing for a right cause, standing for building up a better, dignified, etc. life – happened in lives of peoples in many countries on many occasions? However, one point needs a clarification: It’s not “carried away”, as Professor Bruce Lerro writes. Without people’s conscious decision and participation, taking these stands and carrying on of these tasks are not possible. So, there’s no question of carrying away; rather, there’s the question of conscious decision-making and participation by people. There’s no need for washing brains, as Professor Bruce Lerro feels. Rather, opposite of brainwashing is required, which is exposing brainwashing capital carries on. This can be done through political education, analysis of questions surrounding life and struggle. Washing of brains is not the task of the working class and its political leadership. It’s not only sports and games, which are powerful. A lot of other amusements and trifling activities are also made powerful by dominating capital. They brainwash and keep brains busy with hair cut and hair styles, shoes and heels and height of heels, colors, blazers, persons and celebrities, casinos, knives, cars, races, retirement plans, kings and queens and their siblings and offspring, life style and indulgence and debauchery of the rich persons, and what not. These are to be exposed. This is part of education. Another point of disagreement with Professor Bruce Lerro is his suggestion to “find a way to create [some sort] of drama, not occasionally but as part of a regular seasonal sequence”. The working class and its politics/political party/political leadership need no drama. They need neither dramatization nor dramatic presentation. Rather, factual presentation in calm, quiet, rational way is needed for political education, for making people politically conscious. The exploiting class is enough to create drama. The need is the exposure of that drama. A partial agreement with this observation. Movie stars, etc. are not our gods and goddesses; rather, those figures are presented before us as gods and goddesses, we are tuned to consider those figures as gods and goddesses. This act of manipulation by capital is to be exposed. 4) during retreats including the epical Long March in China, and extreme hostile time including the Special Period in Cuba. The answer: Political education, organizational work and cultural activities are to be offered. Political education includes history; and history includes history of struggles, victories and setbacks in people’s struggles. Professor Bruce Lerro is not factual as he writes: “What is missing under socialism is a similar pageantry of rituals, joining in song and dance along with regular places to meet and celebrate. All of these things build a theatrical stage scaffolding for extraordinary revolutionary events.” These go on. These are to be strengthened and widened, are to be made live, and are to be taken closer to the lives of the exploited. He proposes a good idea, as he writes, “have […] some systematic experience[s] that could be given to socialist children or adolescents”, and “have an experience of socialism before the revolution”. It is hoped that Part 2 of the article by Professor Bruce Lerro will convey important ideas. Thanks to Professor Bruce Lerro again for his questions and ideas.